A season by season list of inventive ways to use up food that is either leftover or food that has gone passed it’s prime. Get clever: cut #foodwaste. Welcome to my second post dedicated to finding ways to cut food waste in support of #forfoodagainsthunger. 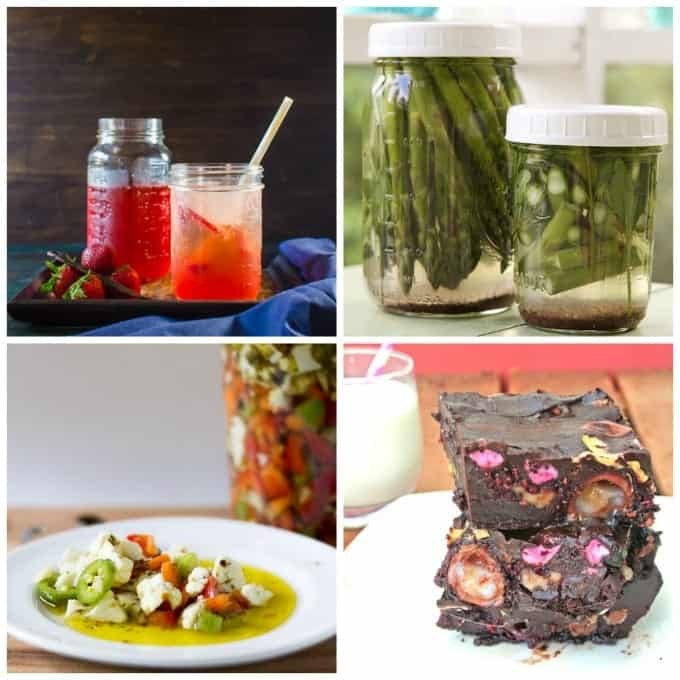 Today’s post is a round-up of inventive ways to use up food that is either simply leftover or food that has gone passed its prime. 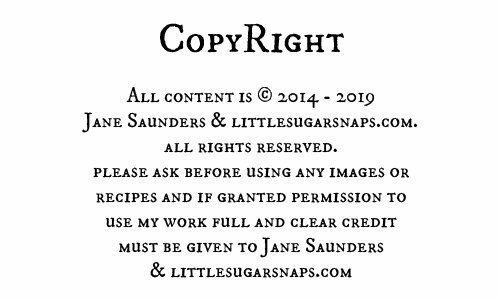 I’ve listed a handful of recipes for each season, focusing on food that is generally in abundance (in the UK) at this time of year. There’s also a short collection of year round recipes to inspire you to use up rather than throw away your leftovers. Kicking off Springtime is an ingenious recipe for Fruit Shrubs (aka drinking vinegars) @ The Flavor Bender. Although the post features a summertime Strawberry Shrub, the recipe can be adapted to use blood oranges and kiwi fruit, both of which are in their prime in Spring. And bonus – it’s a great way to re-use pre-loved vanilla pods. An all round #nofoodwaste winner. Have you ever thought of pickling asparagus to extend the season? Me neither. But I can’t wait to get a supply of these Winey Briny Pickled Asparagus @ SidewalkShoes into my pantry next Spring. And try this recipe for spicy Italian Giardiniera @ A Dish of Daily Life/ Take Two Tapas. It really crosses the border between spring and summer, but since cauliflower is a big component and cauliflower is best in springtime, I’ve dropped it here. Regardless – it’s so versatile and a great way to use up surplus ingredients. Think Spring… Think Easter. And what do lucky people get too much of at Easter? Chocolate. These Overloaded Easter Rocky Road Brownies @ Giraffes Can Bake are a devilishly delicious way to use up supplies. 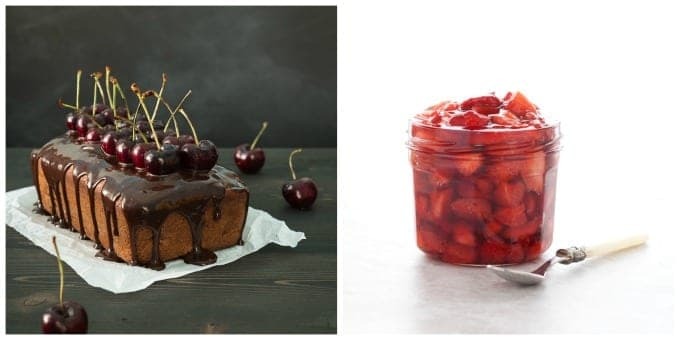 No round-up of this nature would be complete without a recipe for banana bread and this Choc Cherry Banana Bread @ The Road to Honey gives it the perfect summer spin to use up over-ripe bananas and excess cherries… if there is such a thing? Did you end up with more strawberries than you could handle. Give over-ripe, mushy strawberries a new lease of life in my very own Roasted Strawberry Sauce. When you’ve left those glorious avocados a little too long and they’ve turned to brownish mush, fear not. 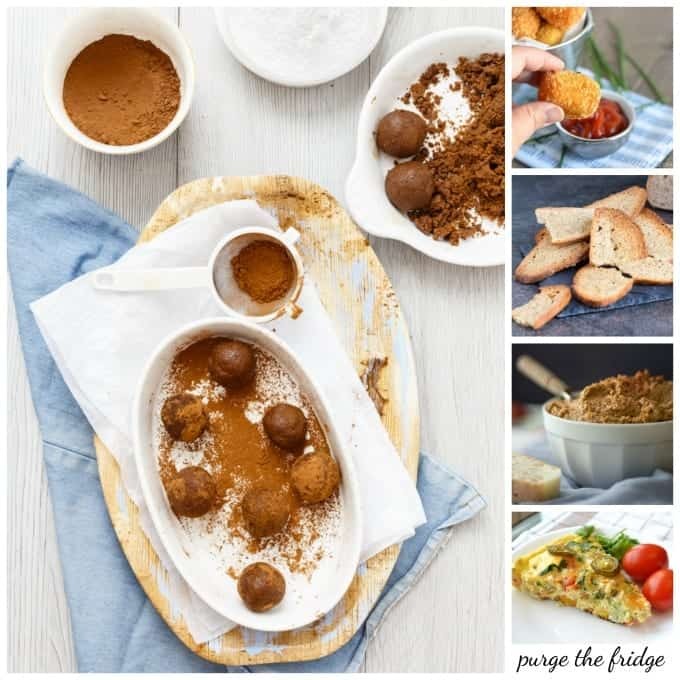 These Creamy Chocolate Fudgesicles @ Eating by Elaine are the answer to your prayers, turning those unlovable avocados from inedible salad to heavenly dessert in one swift move. All The Veggies Turkey Pasta @ Bet on Dinner is a year round recipe, but particularly special when you wind up with a glut of summer fresh tomatoes & zucchini. Next time you have an abundance of ripe peaches, try these full on fruity Ripe Peach Popsicles @ The View From Great Island. I’m wishing I had a little peach tree in my garden. Fans of kale will be familiar with the problem of what to do with those pesky stems. Kale Stem Pesto @Healthy Slow Cooking is the solution from now on. If your definition of autumn includes an abundance of sweet potato, you’ll love these Healthy Chocolate Smoothies @ A Virtual Vegan. Next time you have some leftover spud taking up room in your fridge, whack it into your blender instead. As a last hurrah to summer, get a jar of these Easy Refrigerator Pickles @ Strength & Sunshine into your fridge. Roasting a joint of ham is one of our family favourites over the Christmas period, but, since I do not own a doggie who would happily gnaw on it, I’ve never known quite what to do with the leftover bone. From now on I’ll be whipping up this Crock-Pot Ham Bone Soup @ Simple Nourished Living. I’ll be putting excess cranberries to use in this colourful seasonal Cranberry, Walnut, Apple Smoothie @ A Virtual Vegan. And at the risk of overdoing the Christmas theme completely, it seems remiss not to mention leftover turkey. And what could be finer than these snazzy Leftover Turkey Tartines @ Mon Petit Four. It doesn’t happen often for me, but I have been known to make more cake than even I can handle. Cake Crumb Truffles @ Sandhya Hariharan are the sweet way to go on these rare occasions. It’s not unusual for me to overdo it on the potato front though. You too? Let’s impress everybody by transforming our stodgy leftovers into these Gluten Free Tator Tots @ What the Fork Food Blog. Bread must be the most frequently wasted product in my house. But we needn’t just settle for breadcrumbs or croutons. We could also be turning our stale bread into these wonderful Bread Crackers @ The Cook’s Pyjamas. One of my greatest pleasures is throwing together a Frittata with whatever is to hand. Get a little sensible inspiration with Purge the Fridge Frittatas @ Good in the Simple. And that completes my short round-up on ways to reduce food waste. I really hope there are one or two recipes that take your fancy. Did you miss the story of why I’m supporting #forfoodagainsthunger? You can find the details, including how you can get involved, here. A pleasure Alyssa – thanks for stopping by. 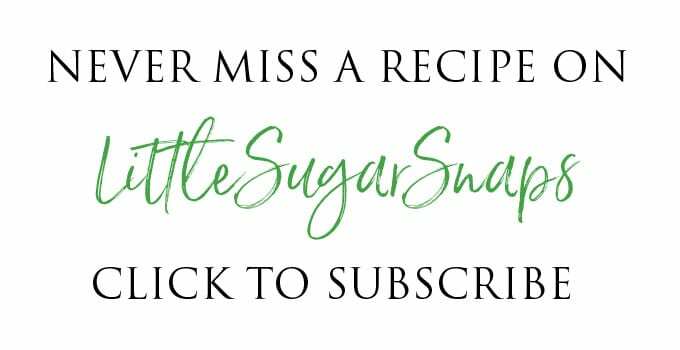 Thank you for including my smoothie recipes. Food waste is a real issue in most households and is something that is so easy to eradicate with a little thought and planning. I love your ideas! You are so right. Even if we just do one thing a week to stop the waste it’s an improvement. 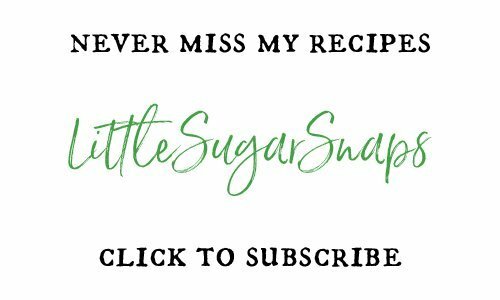 Thanks for your recipes – they are fab. I love this…definitely food for thought on good ways to use up your extra! And thank you for including Jennifer’s Italian Giardiniera! I love this roundup because I have so many little bits of ingredients left over. I hate to throw them away, or they go bad before I can use them again, so these recipes are wonderful! 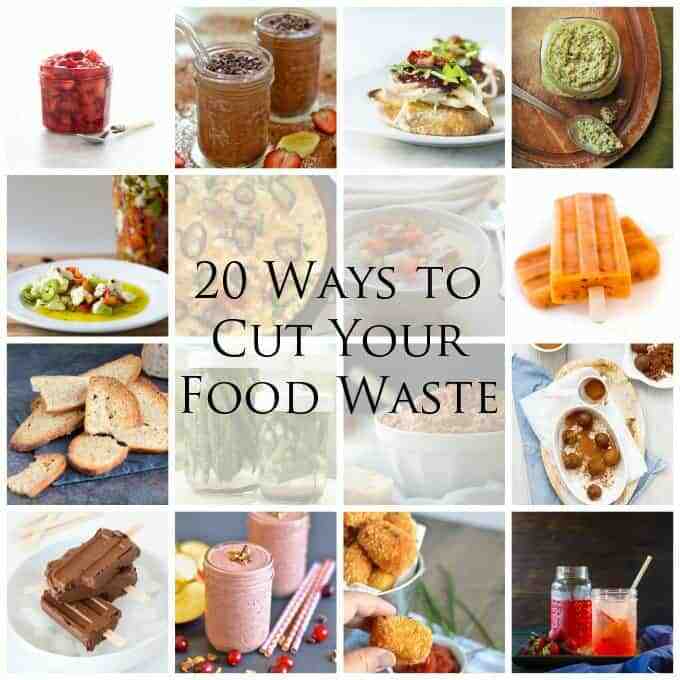 Such a really terrific list of ideas to help reduce food wastes Jane. As hard as I try, I always seem to have leftover food that I have no choice but to throw away. As a matter of fact, I have cherries at their prime in my fridge right now (Gasp! I know. . .me, the cherry addict . . .with overripe cherries). Do you think I should pickle them? 😉 Was joking. . .but on second thought. . .this might be pretty interesting. . .I’m already envisioning my salads with pickled cherries. I really think pickled cherries sound excellent. Especially teamed up with Goat’s cheese. Oh stop it, Lynn. 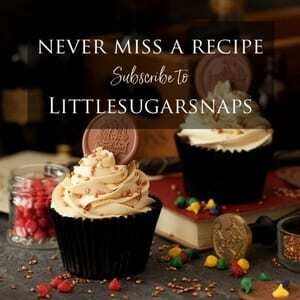 I’m pleased you like the list and have found it useful… if only for further recipe inspiration. I think I’ve learned a big lesson here – next time I have something leftover I’ll google what to do with it before opening the bin. Thanks are due to you for giving me the inspiration for this round-up. Pleased you like them Amanda.